The Ministry of Manpower has withdrawn the accredited status of a number of training providers offering workplace safety courses due to “training and assessment malpractices”. Five Singapore providers of workplace safety courses have had their accredited status removed for “training and assessment malpractices” such as failing to uphold examination integrity procedures. Work Safe Academy Pte Ltd, Propel Consultants Pte Ltd, Regent Global Consultants Pte Ltd, Bright Training Centre Pte Ltd and Ark HSE Management Solutions Pte Ltd have had their Accredited Training Provider (ATP) status withdrawn by the Ministry of Manpower (MOM). MOM investigated the training providers acting on information received from the public and regular audits, the government body said in a release on Thursday. These investigations discovered that the providers failed to conduct courses according to stipulated course durations, failed to ensure attendees’ English capabilities were up to scratch to complete the courses, and failed to uphold the integrity of examination procedures. 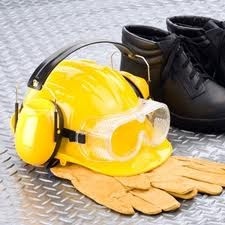 The ATP scheme accredits training providers to conduct Workplace Safety and Health (WSH) courses on behalf of MOM. “MOM takes a strong stance on the integrity of ATPs,” the release said. Poor training practices of ATPs may be reported to MOM via www.mom.gov.sg/contact-us.